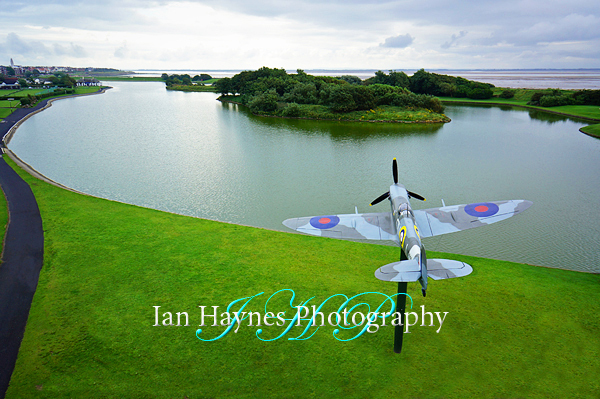 A salt water lake between Lytham and St Annes, a glorious place for a walk, to mess around in boats, to spot ducks and geese and see a full size model of a WW2 Replica Spitfire. ENTRY FEE: Free. Activities individually priced. See attendant for details. Recently securing a development grant of £165,500 from the Parks for People in order to help with the much needed restoration of the iconic lake and gardens. The centrepiece of the project will be the restoration of the café, the oldest and most historically significant building on site, together with the creation of an interpretation hub, new classroom facilities, improved sailing and sports facilities, improvements to the lake and the restoration of historic landscape including the nationally significant Japanese Garden.